I love teaching music to kids! I am a certified Orff Schulwerk teacher and plan to share lessons about singing, playing instruments, recorder technique, creative movement, improvisation, guided listening, any other techniques that will help you teach music better! Find more information and ideas on my blog: www.MakeMomentsMatter.org. 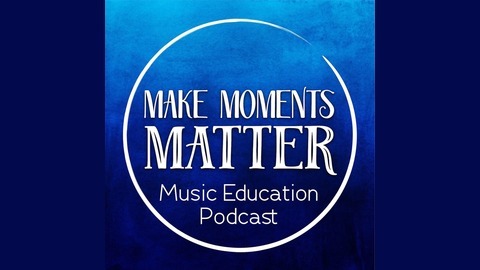 This episode of the podcast is a replay containing the audio version of the Musical Monday LIVE video recorded on 4/15/19. 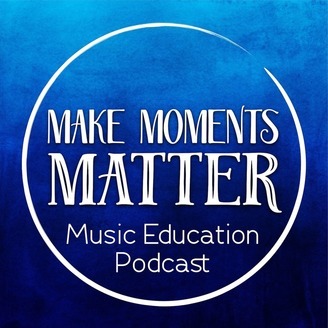 This week I’ll share some of my favorite ukulele accessories, ideas about using puppets in the classroom, and a deep dive into my kindergarten lessons for the week. If you’re not familiar with musical Mondays, every Monday night at 8 p.m. Eastern time I go live on Facebook and Instagram to share about the lessons that I’m using in class with my students. I give a recap of my K-5 lessons and then do a deep dive about one grade level and share the books, instruments, songs, and process that I use to teach the lesson to kids. This podcast episode contains all the audio from the Musical Monday video, but if you’d like to see a replay of the video itself you can follow this link to the archived video on YouTube. Click here to see the Musical Mondays LIVE recap page where I share links to resources and ideas mentioned in the video.